A constant craving of mine is a good, ol’ chocolate chip cookie. Whilst I love to bake them myself and eat warm cookies with ice cream, I don’t always have time to be baking cookies! 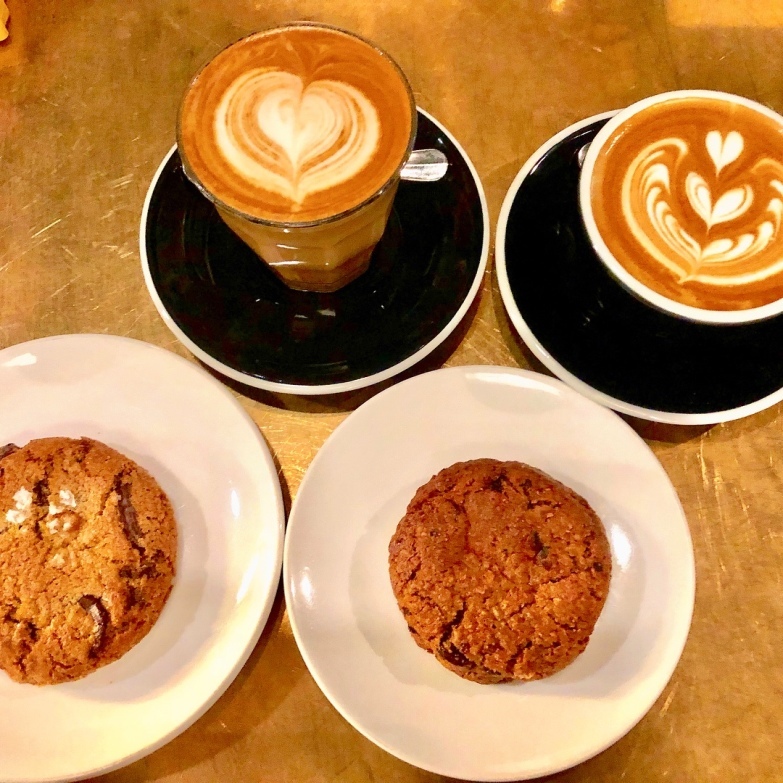 So I’ve got to look for alternatives to get my cookie fix and have made it my mission to compile a list of the best of the best chocolate chip cookies in Hong Kong. These cookies have just the right amount of chew and are definitely recommended for those who don’t enjoy super-sweet cookies. But the high price point means that Homie Cookies’ cookies are good, but not great. There just aren’t enough chocolate chips in ’em, which isn’t what you want in a chocolate chip cookie. These cookies are also part and parcel of Elephant Grounds’ infamous, creatively flavoured ice cream sandwiches. If you aren’t making your sub a meal with two cookies and a drink, what are you wasting your dolla‘ on? Crisps?! 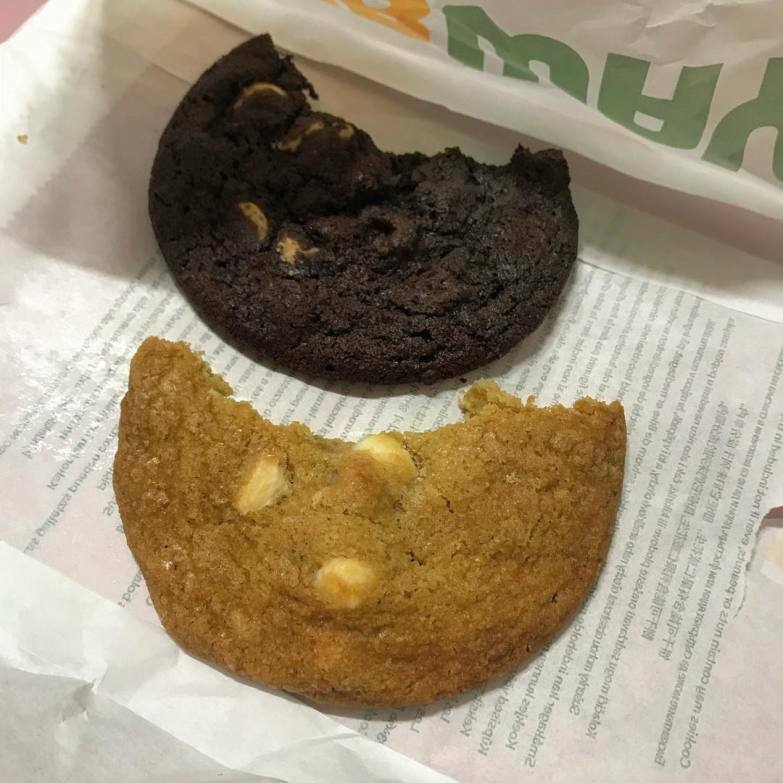 Subway cookies can be a bit hit-and-miss. One definite hit for the cookies are the flavours: double chocolate chip, chocolate chip, white chocolate with macadamia nuts, oatmeal raisin and raspberry cheesecake. The misses mostly spur from which Subway you go to. Occasionally I have been given a cookie that has been left out for too long, being stale and not the nice kind of chewy. On other occasions, I have been gifted with a delicious cookie. 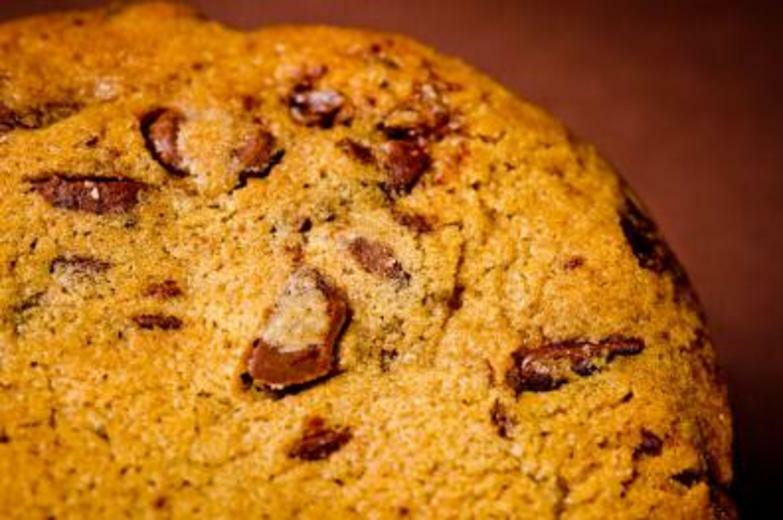 Now, this may be cheating, but their chocolate chip cookie is actually a little average. 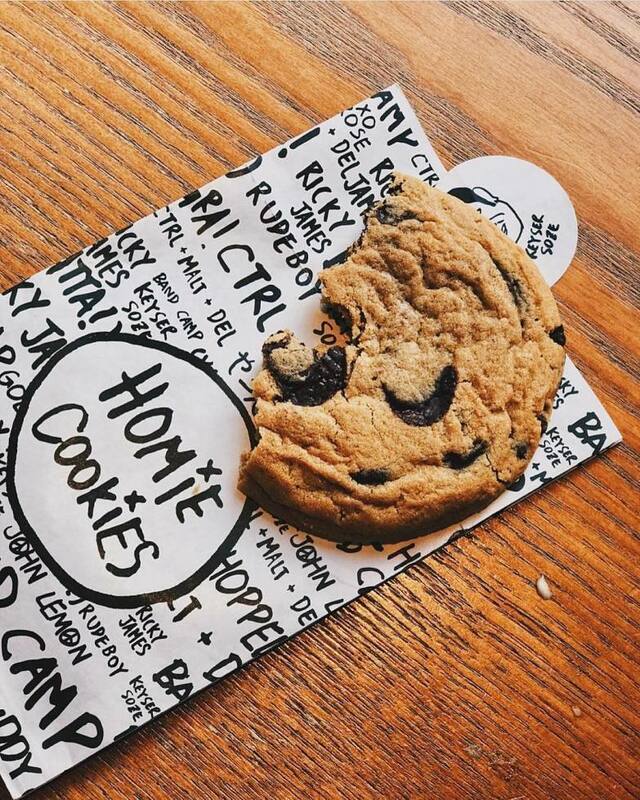 However, their DOUBLE chocolate chip cookie is something I dream about daily, so we’ll pretend it counts. I’m sure I don’t need to say too much about Mrs. Fields. Known and loved by just about everyone, Mrs. Fields has enough flavours to entice even the pickiest of cookie eaters. 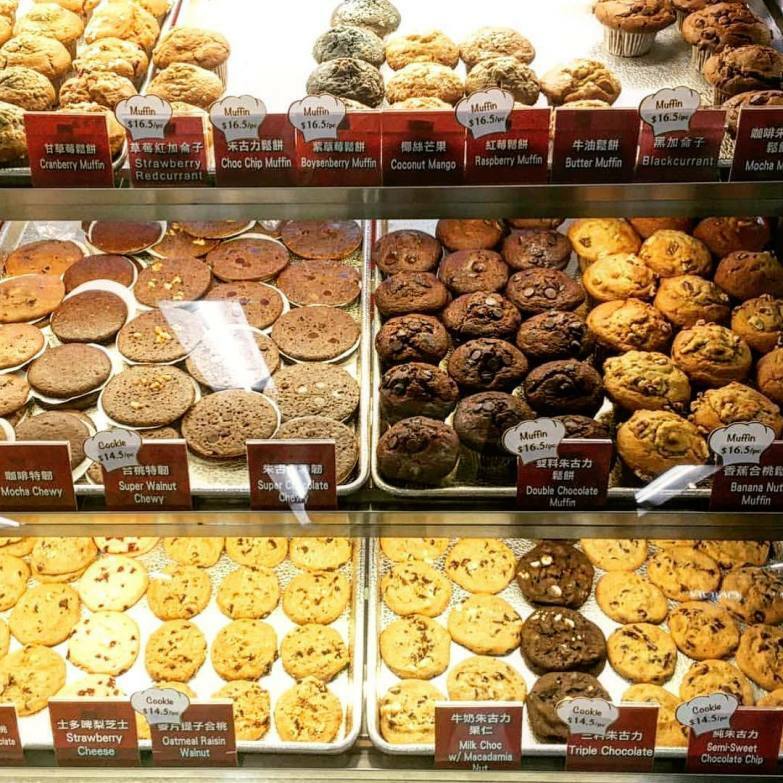 I actually hate walking past a Mrs. Fields – the scent of their cookies goes on for miles and typically will be enough to get me walking up to their counter to buy a cookie or two – it’s just so hard to say no! My only complaints are that they’re way too small and, for some, way too sweet. But I love these cookies, despite their sweetness. 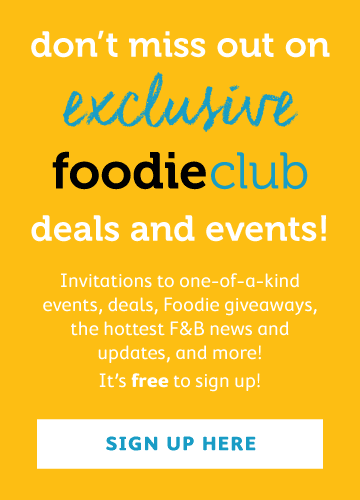 I know – $30 is a lot for a chocolate chip cookie! But hold your horses, you have to try one of Fineprint’s sea salt chocolate chip cookies before you make your judgement. The dark chocolate chunks are huge, the cookie itself is definitely one of the bigger ones in all of HK and it isn’t sickly sweet. They even have a sprinkle of salt. These cookies are perfectly satisfying, with the only questionable thing being their price. Marks & Spencer clearly know what they’re doing with the mega size of their cookies, but to some, they’re just a bit too sweet. Personally, I think they’re delicious and are especially wonderful dipped in some tea, hot chocolate or even coffee. Their texture is crispy on the outside and chewy in the middle – aka the perfect cookie. I know what you’re thinking, Sift sells cookies? Whilst most wouldn’t go out of their way to frequent an expensive cupcake shop for a chocolate chip cookie, I would definitely consider it. These cookies are crispy on the outside and chewy on the inside, a combination I adore. And the price isn’t too bad compared to their high-end cupcakes. Served up at Great Food Hall at Pacific Place are Michael’s Cookies. These babies are only $7 apiece and are sourced from an American brand who sell frozen, ready-to-bake cookies in supermarkets. 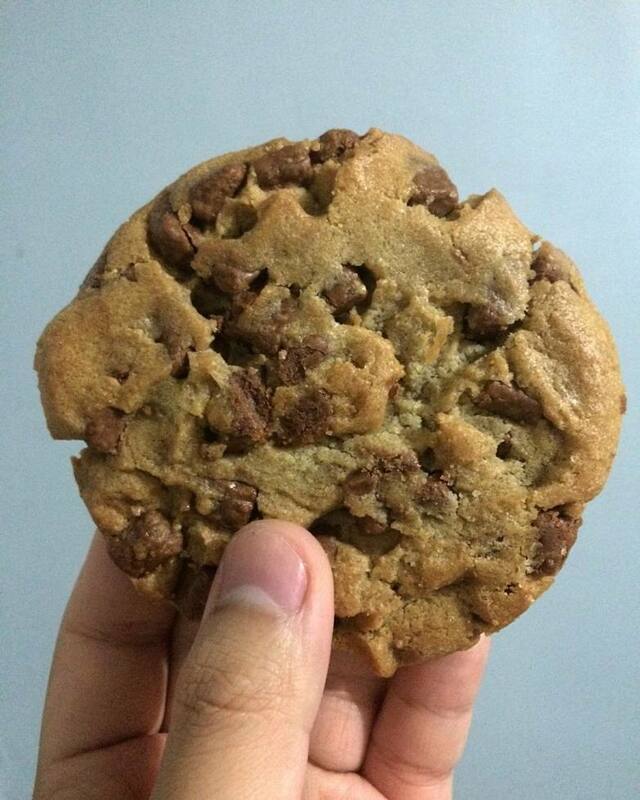 This HK branch of Michael’s sells ready-baked cookies that you can eat upon buying. My lazy senses are tingling. Their low price makes them a worthwhile treat! 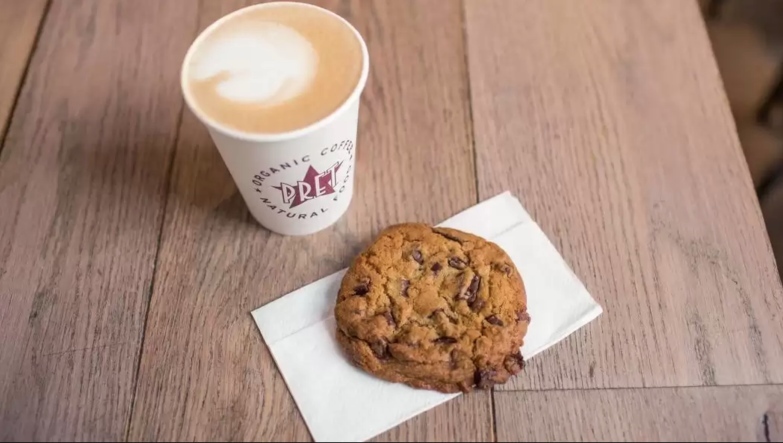 Final tip: Though we haven’t checked them out yet, we’ve heard tell of the decadent chocolate chip cookies ($18) at pastry chef extraordinaire Gregoire Michaud’s Bakehouse in Wanchai – please report back!